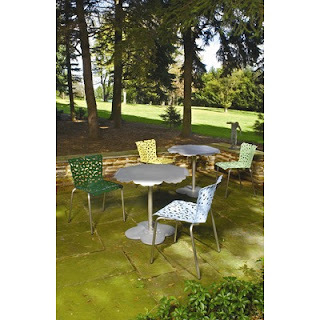 With summer fast approaching, the Knoll Studio Topiary Dining Chairs and Table would add grace and elegance to your office or home outdoor sitting areas. The Topiary Collection is comprised of both chairs and tables, inspired by Richard Schultz's fascination with the way sunlight passes through the leaves of shrubbery. The organic cutouts not only create the illusion of pruned shrubs, but also filter sunlight to create the dapple shadows found in nature. Sometimes the pattern looks like flowers; covered with dew it looks alive. 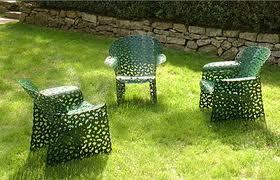 It is available in a variety of colors allowing the collection to contrast or blend in with the surrounds. Stop by RJE showroom, we have a lot of great literature on hand.